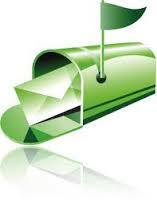 « USPS | How A Letter Travels OR How Does My Mail Carrier Know Where I Am? This entry was posted on January 29, 2015, 2:28 pm and is filed under Connecting, Database Management, Mail, Paper, Thursday Blogs!, USPS. You can follow any responses to this entry through RSS 2.0. You can leave a response, or trackback from your own site.